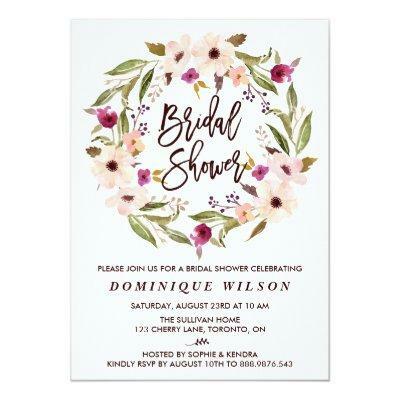 Whimsical and feminine bridal shower invitation featuring modern brush calligraphy and watercolor floral wreath. This is invitation is perfect for both spring and fall showers. Matching and similar items are available.